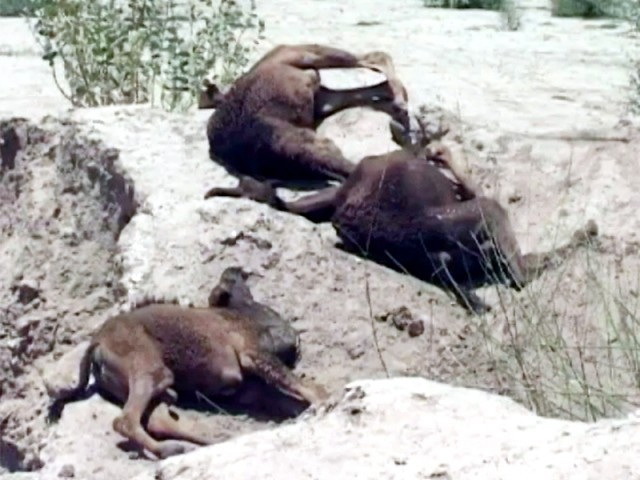 Two accidents in south Punjab claimed the lives of nine camels and caused severe injuries to a dozen more on June 11, 2014. In the first incident, four camels were killed and 12 injured when a passenger train slammed into them near Adam Sahaba train station in Rahim Yar Khan. Witnesses said a herd of camels roaming near the train tracks had started crossing the track. They said that before the camel herder could get the animals off the track, many were struck by Bahauddin Zakariya Express. Four camels were killed instantly and around a dozen were severely injured. The herdsman fled the scene, apparently apprehensive that he might be arrested for not being vigilant. Pakistan Railways staff and the local administration started efforts to restore traffic on the track, which the witnesses said was “littered with camels’ bodies”. They suggested that most of the stricken animals might not survive, some because of the extent of their injuries and others because it was customary to slaughter injured animals for their meat once it became clear that they might not recover fully, or soon. Zakariya Express, which plies between Multan and Karachi, was not reported to have suffered any damage that would prevent it from continuing its journey. No injuries were reported among the train passengers. In the second incident in Suraj Miani area, in the periphery of Multan, five camels grazing near an electricity pylon were killed when they walked into transmission wires. The electrocution of the camels, worth hundreds of thousands of rupees, dealt a severe blow to the family that owned them and members of the family were seen sobbing and crying over the animals’ bodies. 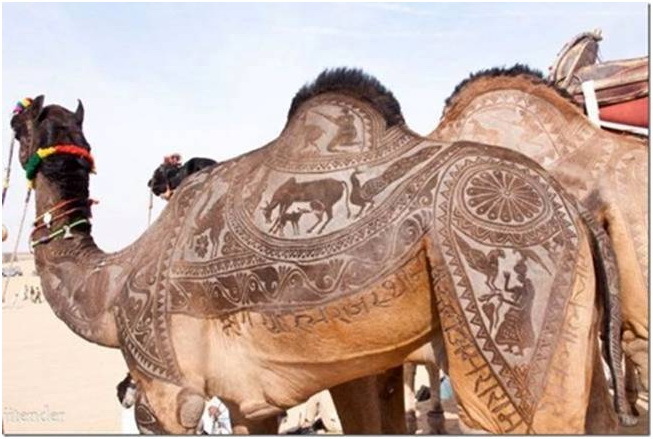 “It is unfortunate that camels were killed in a road accident. Such incidents can be a serious risk for human life too,” Uzma Khan, director of biodiversity at WWF-Pakistan, said. Khan said animal mortality was common in road accidents and deaths of smaller animals usually went unnoticed. “Loss of habitat has fragmented the area where animals live. Animals frequently cross roads to go from one habitat patch to another. The person behind the steering wheel is responsible for his or her own life, other passengers and also the lives of animals that use roads,” she said. Environmentalist Nuzhat Siddiqi said communities near railway tracks should be sensitised about the hazards of cattle grazing near the tracks. “As for transmission lines, local authorities must be held accountable for not putting up effective barriers around them. It was camels this time. It could be children next,” she said.